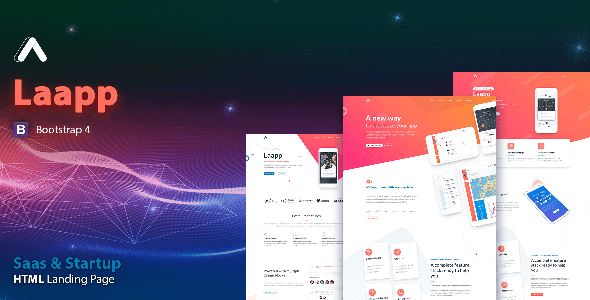 Laapp is a one page HTML Landing Page ideal to showcase any App or StartUp. It comes with powerful, beautiful and high-performance web design. Built with Twitter Bootstrap Framework 4, HTML and CSS3. 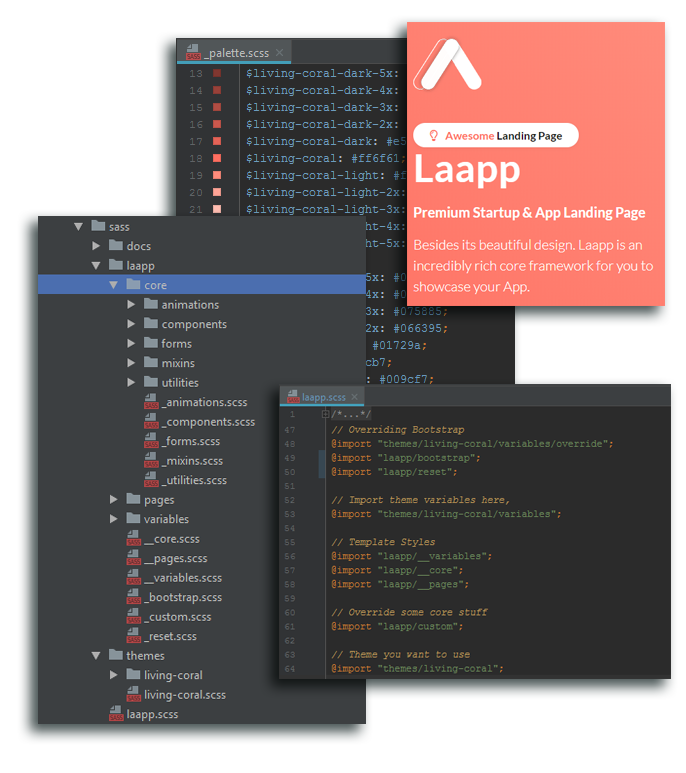 Laapp includes all SASS code for a complete and easy customization experience. Customers are our major asset, and their satisfaction our biggest goal. If you need any assistance, don’t hesitate, you can contact us any time.